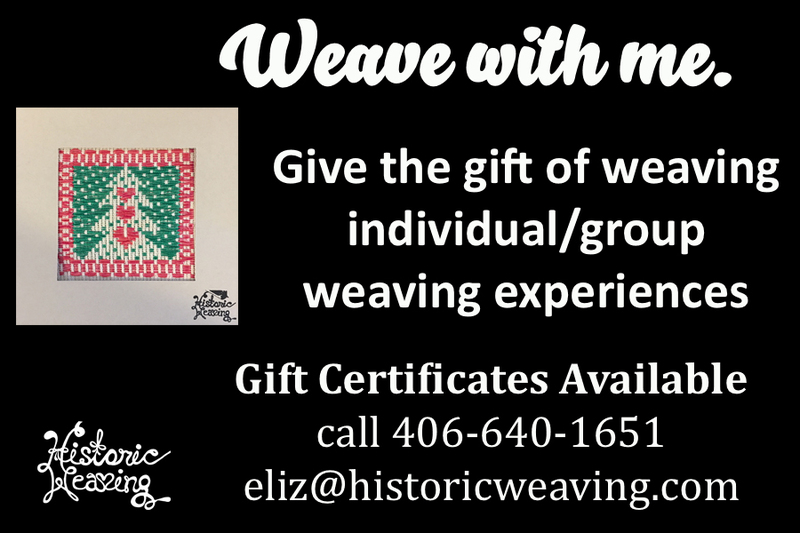 Gift Certificate for $200, good towards the purchase of weaving sessions, or purchase from the shop. 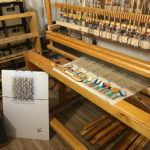 Numbered/Limited edition drawloom weaving for 2016. There are only 3 available. This piece has been handwoven on a mechanical drawloom from an original draft developed by the weaver Elizabeth Tritthart. 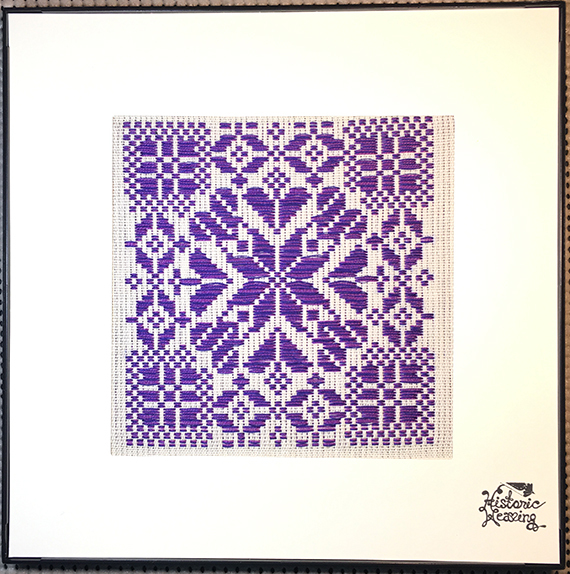 The frame is 8″x 8″ and the weaving is 6″ x6″. The structure is Opphamta. Image can be hung on a wall, placed on a desktop, or use the velcro dot to hang on a cubicle wall. Weaving by hand is a “slowmade” product. 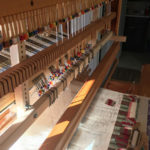 There are many hours that go into planning, warping and threading a loom before something is actually woven. Because weavers use high quality materials to make their handwovens pricing may differ from what you would expect in a local store or mall. A handwoven item will often last 10-15 or more times than an item that has been mass produced. Purchasing handwoven goods helps to preserve the art of handweaving for future generations. Numbered/Limited Edition drawloom weaving for 2016. There are only 4 available for 2016. 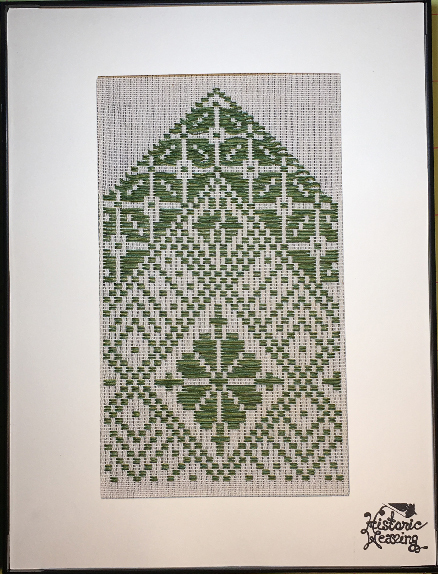 The frame is 5″x 5″ and the weaving is 3″ x 3″. The structure is Opphamta. 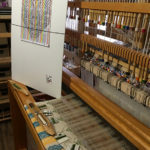 One the loom with the Draft on the floor, there were many bobbins in play. 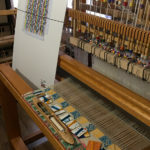 Detail of the weaving process on the loom. 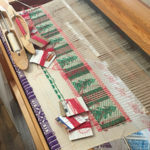 The project is being woven, notice the colored pulls that are in use. 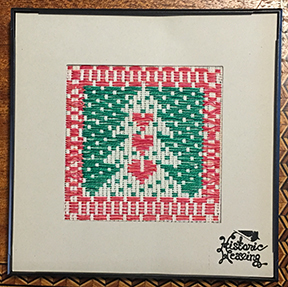 The frame is 4″x4″ and the weaving is 2 1/2″ x 2 1/2″. The structure is Opphamta. 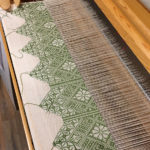 Image of the piece being woven on the loom with the draft. Numbered/Limited Edition drawloom weaving for 2016. There are only 4 available for sale. 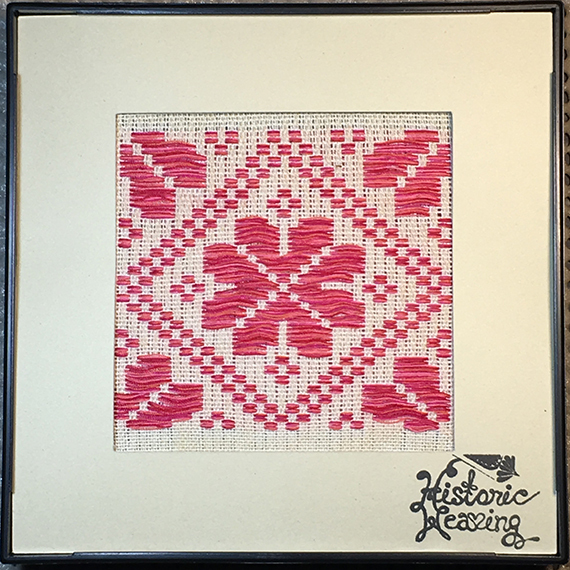 The frame is 6″x8″ and the weaving is 3 1/2″ x 6″. The structure is Opphamta. 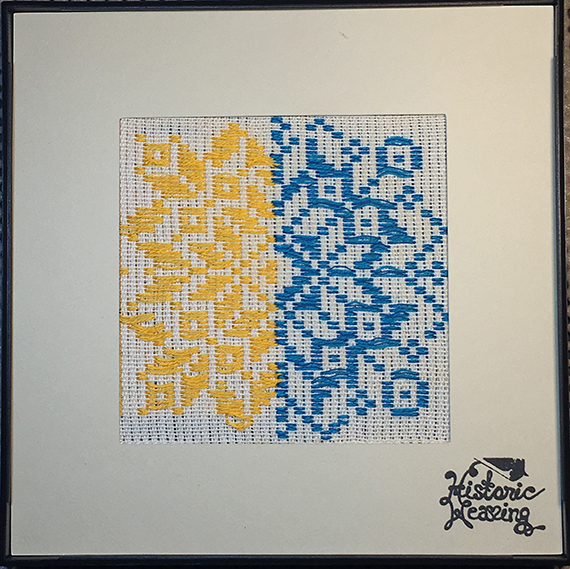 Numbered/Limited edition drawloom weaving for Holiday Season 2016. There are only 4 available for 2016. 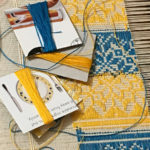 The frame is 5″x5″ and the weaving is 3″ x3″. The structure is Opphamta.